There are separate emergency numbers for police, fire and ambulance services. Each hospital usually has its own number for calling an ambulance. When in doubt, call the operator by dialing “12,” and they will make sure to contact the closest healthcare facility. 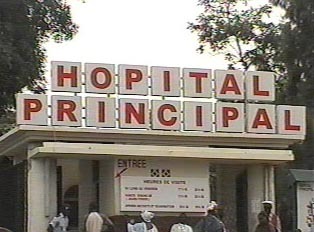 Healthcare in Senegal is handled at a variety of facilities. There are numerous hospitals, which unfortunately tend to be crowded and understaffed. Each neighborhood usually has a health clinic; when in need of an ambulance, one can call the clinic. There are also facilities that are halfway in size between clinics and hospitals. Insurance is not a common benefit for Senegalese, and residents, for the most part, pay for health care, which can be relatively expensive. Given that traffic in Senegal can be formidable, it is often the norm for friends or family members to take a patient to the hospital even in a dire emergency. If a family member or neighbor does not have a car, sometimes even a taxicab will suffice. One must be vigilant when traveling in close quarters and make sure that purses and cash or traveler’s checks are secure. It is often best to get cash from ATM machines outside of the city, where the threat of theft is less. Make sure cars are locked with no precious items left inside. It is important to have a working knowledge of one’s surroundings and not to go into neighborhoods that are regarded as unsafe. When out at night, one should avoid deserted streets, even if they happen to be in more prestigious neighborhoods. It is always best to stay around people. One can relax at night when in neighborhoods where there is a lot of activity. Always use common sense.